Since Clarkie was diagnosed with Ewing’s Sarcoma, he has shown a level of drive, determination and an inherent desire to win. With the funds raised by Team Clarkie, we will ensure that researchers receive the resources needed to make significant strides towards finding a cure for Ewing’s Sarcoma and other pediatric cancers. We are confident that this campaign will stimulate greater awareness and inspire others that believe pediatric cancer research can and will lead to a cure. In July 2013 Clarkie was diagnosed with Ewing’s Sarcoma, a rare form of bone cancer that affects 250 people a year. After struggling with leg pain throughout his spring lacrosse season, he finally got an MRI. It showed a mass in his upper right femur. Clarkie’s treatment involved 34 weeks of chemotherapy and surgery to remove the top half of his femur and replace it with a titanium prosthesis and donor bone. Throughout treatment Clarkie amazed everybody with his strength, positivity, sense of humor and resilience. Our good friend and cancer survivor, Matt Smalley, told Clarkie that he needed to battle through his treatments, stay strong, stay positive, be healthy and do his best to achieve the small victories throughout this process. Clarkie followed those words of wisdom and completed treatment in May 2014. The money raised by the Team Clarkie Fund will ensure that researchers receive the resources needed to make significant strides towards finding a cure for Ewing’s Sarcoma and other pediatric cancers. We are confident that this campaign will stimulate greater awareness and inspire others that believe pediatric cancer research can and will lead to a cure. Please join us in our efforts and conquer childhood cancers! Since 2014 Team Clarkie has funded 4 research grants focused on Ewing Sarcoma. These grants total more than $400,000 in funding. Read here about Dr. Crompton's 2016 St. Baldrick's Scholar grant. Since 2014 Team Clarkie has funded 4 research grants focused on Ewing Sarcoma. These grants total more than $400,000 in funding. 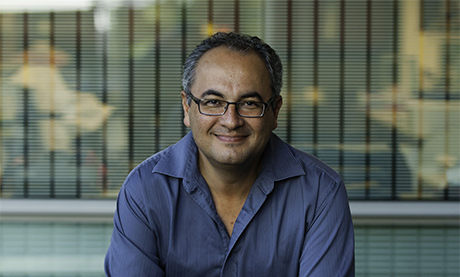 Read here about Dr. Sweet-Cordero's 2015 Research grant. Since 2014 Team Clarkie has funded 4 research grants focused on Ewing Sarcoma. These grants total more than $400,000 in funding. 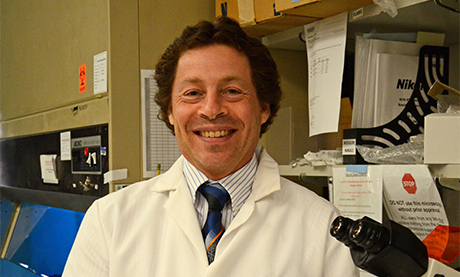 Read here about Dr. Toretsky’s 2014 Research grant. Donations made to Team Clarkie Fund have funded a St. Baldrick’s Fellow Grant for Jade Wulff M.D. 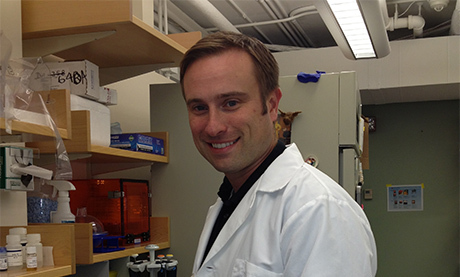 Dr. Wulff is researching Ewing sarcoma at Baylor College of Medicine which is affiliated with Texas Children's Hospital. The St. Baldrick’s Foundation is guided by a Scientific Advisory Committee, comprised of leading experts in the childhood cancer community, to ensure that every dollar makes the greatest impact for kids with cancer. These people make us smile - they’re the doers and money-raisers on behalf of Team Clarkie. They’re shaving their heads, hosting events, starting fundraisers and more to make childhood cancer research possible. Start your own St. Baldrick’s head-shaving event to raise money on behalf of our Hero Fund! You’ll be paired with a staff member who will walk you through every step of the process, and you’ll have fun knowing you’re doing a great thing for kids with cancer. Register to shave your head and raise money for our Hero Fund at any St. Baldrick’s event happening around the world! Not finding an event near you? Register as a virtual shavee and shave your head anytime, anywhere. Head-shaving not your thing? You can start a fundraiser to raise money for our Hero Fund with St. Baldrick’s in a way that interests you! Like biking? Bike a marathon. Like baking? Start a cookie baking fundraiser… You get the picture.